Chia seeds (تخم بلنگا) are among the healthiest foods on the planet. They are loaded with nutrients that can have important benefits for your body and brain. Chia seeds are tiny black seeds from the plant Salvia Hispanica, which is related to the mint. Chia seeds (Salvia Hispanica) have become one of the most popular superfoods in the health community. They are easy to digest when prepared properly, and are a very versatile ingredient that can be added easily to many recipes. Recent research has found that the chia seed benefits are even greater than we can think. 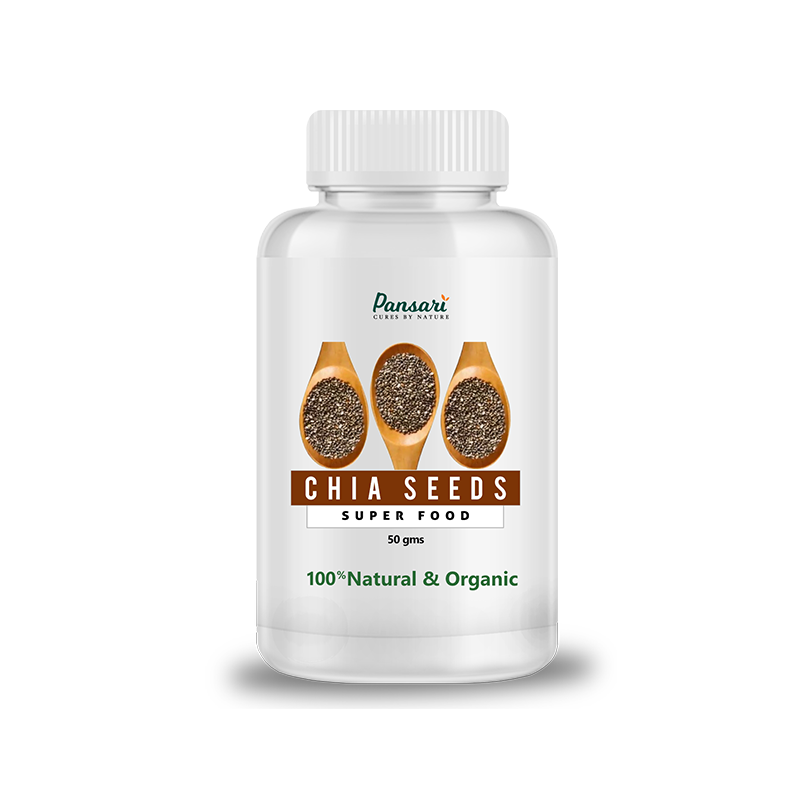 Chia seed benefits include promoting healthy skin, reducing signs of aging, supporting the heart and digestive system, building stronger bones and muscles and more. Now they have even been linked to healing diabetes. Being high in dietary fiber, chia helps promote bowel regularity and healthy stool. The rich fiber content in chia seeds also helps people feel more full quicker because it absorbs a considerable amount of water and immediately expands in the stomach when eaten. This may explain why clinical studies have proven that chia curbs hunger and suppresses appetite, which can also lead to weight loss. Chia seeds’ ability to reverse inflammation, regulate cholesterol and lower blood pressure make it extremely beneficial to consume for heart health. Also, by reversing oxidative stress, someone is less likely to develop atherosclerosis when they’re regularly consuming chia seeds. Omega-3s in chia seeds work to protect the heart by lowering blood pressure, bad cholesterol, and inflammation. Inflammation can put strain on blood vessels and cause heart disease. So by eating chia seeds you can boost and protect your heart. By adding a serving of chia seeds a day you can help boost your metabolism and burn belly fat as well! Studies show that the addition of chia seeds to your diet also reduces visceral adipose tissue, a “belly fat” tissue that affects the metabolism of the body and is a component of obesity. Just one ounce of chia seeds has 18% of the recommended daily amount of calcium. Calcium is fundamental in bone health and helps maintain bone strength and mass. Chia also contains boron which is another essential nutrient for bone health. Boron helps metabolize calcium, magnesium, manganese, and phosphorus for healthy growth of bones and muscles. Chia seeds also rank among the top plant based sources of protein. This is another reason this super seed is great to consume for those trying to put on lean muscle, burn fat, and balance blood sugar levels. One of the characteristics that make chia so unique is that it can absorb up to 10X its own weight in water. Because of this, chia seeds can prolong hydration and improve nutrient absorption of electrolytes. This also slows digestion and keeps you feeling fuller longer reducing sugar cravings. And because chia seeds are also high in zinc, they help your body increase leptin. Leptin is a key hormone that regulates your body's appetite, how your body spends energy and regulates how your energy levels! It also improves stamina and endurance, making chia a great source of nutrition if you are looking to get in shape. Chia seeds are rich in alpha linoleic acid (or ALA) which is an Omega-3 fatty acid. Recently in 2013, the Journal of Molecular Biochemistry found that ALA limited the growth of cancer cells in both breast and cervical cancers. With chia seeds being packed with calcium, phosphorus, Vitamin A and zinc, it’s no wonder that they are a top food to help your teeth! Calcium is the building block of your teeth and necessary for tooth health. These tiny seeds pack such a nutritional punch that expectant mothers should also consider incorporating them into their diet. Pregnancy can deplete your body of important nutrients and eating chia seeds can help replace those lost nutrients while providing a much needed energy boost. Chia seeds are easy to incorporate into your daily routine and benefit not only the mother’s health, but the baby’s development as well. Chia seeds have a mild nutty taste and can easily be added to most dishes as a garnish, yet chewing small seeds like flax or chia generally doesn’t make the omega-3’s and other nutrients readily available for digestion and assimilation. The best way to access their vitamins and minerals is to either grind or soak them. To soak chia seeds, simply mix them in a 1:10 ratio chia to water. That’s about 1.5 tablespoons chia seeds in one cup of water. It does not have to be exact, but you do want it to gel all the way and not be too watery. Then let them sit for about 30 minutes to 2 hours. Since chia seeds can hold up to 12 times its weight in water, they are wonderful to prevent dehydration. However, if you choose not to soak them, then they can also absorb water from you during digestion. So make sure to drink plenty of water throughout the day to keep your body hydrated. Another option is to grind chia seeds to break down the hard outer shell before eating them. When pulverized, chia seed flour can be used in most gluten-free recipes like pancakes, muffins, breads and even pastas. When grinding omega-3 rich seeds, however, it is important to store them in a sealed, glass container in your refrigerator or freezer. Unlike flaxseeds, you do not have to grind chia seeds to access their nutrition. You can eat them whole and still get their “energy-packed” punch! You can even just eat a spoonful straight, but beware they do tend to stick in your teeth! *Daily Percent Values are based on a 2,000 calorie diet. Your daily values may be higher or lower depending on your calorie needs. Chia also contains essential fatty acids alpha-linolenic and linoleic acid, mucin, strontium, Vitamins A, B, E, and D, and minerals including sulphur, iron, iodine, magnesium, manganese, niacin, thiamine, and they are a rich source of antioxidants. Adding this miraculous little seed in your diet will work wonders for your health.